– Daddy shall we ever have a car!? – For sure you will ! You are young enough! – Daddy shall we ever travel abroad!? I’m not sure if he was suffering at my naive questions or if he was amused to foresee a «bright future» for me and my brother. I didn’t know if i should be happy that these «dreams» could become reality for me one day or if i should be sad because my 34 year «old» father could not imagine he would live long enough to enjoy this paradise himself. I believe it must have been the mid 80ies when i persecuted my father with my interrogation, and my dreams seemed far-fetched. Ten years later a lot of those «dreams» became reality. My father first travelled abroad. Communism had fallen 5 years earlier, my aunt had emigrated to Greece and I remember Daddy talking to her on the phone and asking her for a big bar of chocolate every morning, and of course for an opportunity to go shopping for «foreign» clothes. My aunt obviously obliged and my father gained a bit of weight during his two week trip. And then he bought the car! It was unbelievable. With his musicians’ salary he was nowhere near able to spend 2 000 USD on a 5th hand old Mercedes but we started to rent two rooms of our apartment to visitors, our family of five packed in the remaining room. It went pretty fast! Money came in, and although Mom was begging for a new washing machine, Daddy decided that the priority was to fulfil the car dream. Not hard to find a white Mercedes from the 70ies in 90ies Albania. Got it! It was even well maintained. As a real Albanian man my father opted not to follow a course, but arranged to get a driving licence without ever going to classes, or having any clue about how to operate a car. Albanian men are not chicks! They don’t need anyone to teach them how to drive! Communism taught them not to be affraid of anything, but to jump into the unknown with courage and «leapfrog» any difficulty! First thing he did – he went for a drive! It was a short one. We heard the old Volvo of the neighbour Llazi, went on the balcony as usual to adore the way he was able to park it with only three manoeuvres but saw that he was pulling a rope and at the back of it the (once) white old Mercedes my father had just bought, its front part completely in pieces and my father fighting with the mechanical gear and doing his best to park it somehow. It was clear he had been crying. Crashing into a big truck on your first car trip at the age of 40 is tough. The Mercedes never looked well maintained again but some of the dreams of me and my father had started to become reality. Elton Caushi was born and bred in Tirana. He is a co-founder of the independent travel agency Albanian Trip. 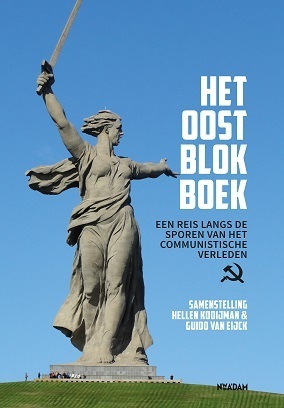 For Het Oostblokboek he provided tips, assistance and insight.